If you follow me on Instagram or Twitter – or basically know ANYTHING at all about me, you probably already know that I am a lover of tennis. 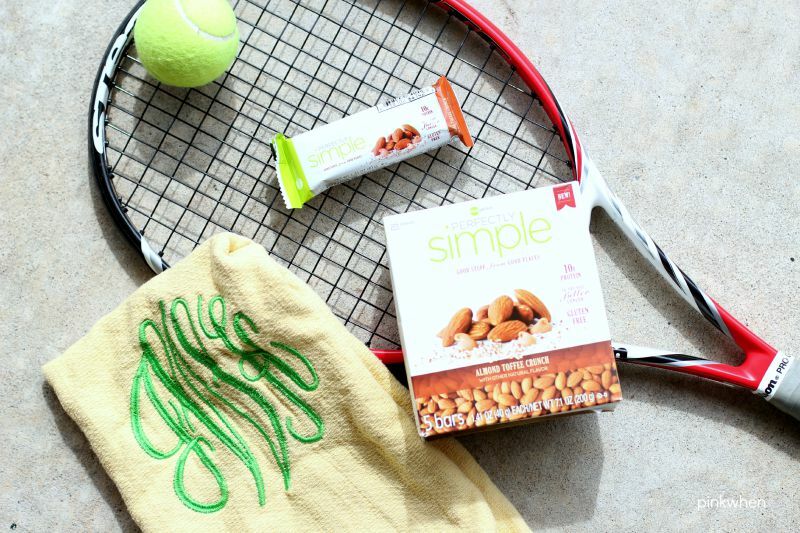 I also love a good healthy workout snack when I play. I literally try and play tennis as many times as I can through the week. I am all about burning energy and having fun, and tennis is about the only sport I can do that with. I am not a workout girl. I am not a runner. I can’t stand treadmills, and you will probably never ever ever find me doing a 5k. However, you can find me burning up 3 miles and 1300 calories a few times a week playing tennis. When I play hard, I have to refuel. I do that by making sure I have a healthy workout snack choice. You can find me playing tennis during various weather ranging from a breezy cold 40 degrees to a steamy, humid 96 degrees. I usually play anywhere between 2 and 4 times during the week. (They always say if you play 1 time, you are not doing anything to improve. If you play 2 times, you MIGHT improve. If you play 3 or more times, you will improve your tennis game every week.) Like I said before, I love to play, and I hate to work out, so I get the best of both worlds doing something I love and staying healthy while I am at it. When I refuel, I always want to do it with something that is healthy and delicious. I love to have fresh fruit and cheese after playing a long match. But while I am playing tough sets, those can literally take what seems like forever. That’s when I need an delicious and fueled snack to help me get some stamina back between those sets. That’s what I love about eating a ZonePerfect Perfectly Simple bar. 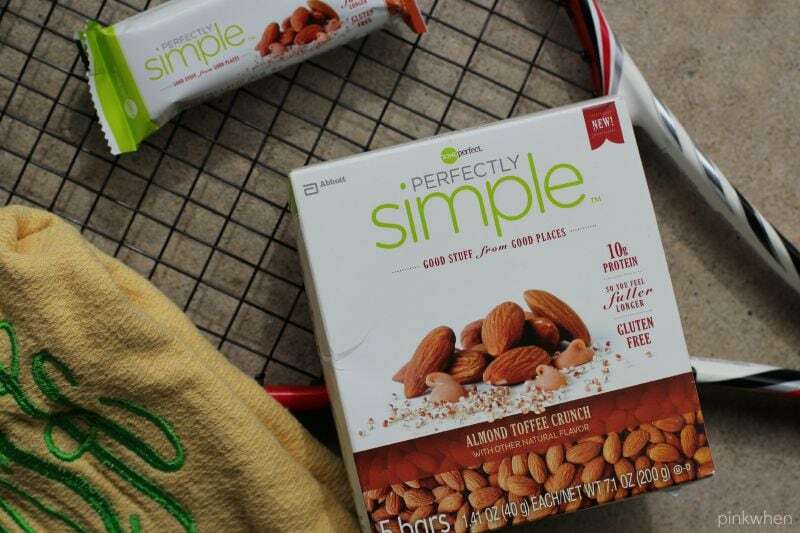 The ZonePerfect Perfectly Simple bars are here to make you #FeelGooder with high protein, 200 calories or less, and (BONUS) they are gluten free. It’s a healthy workout snack for sure! You can find them in four delicious flavors; Almond Toffee Crunch (MY favorite), Bing Cherry & Almond, Oatmeal Chocolate Chunk, or Roasted Cashew and Dark Chocolate. 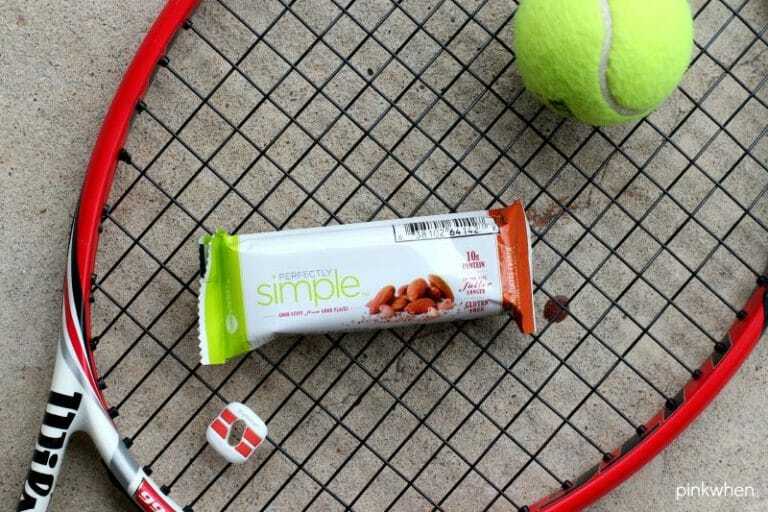 The next time you are in need of a quick and healthy snack for your game or your workout, grab a Perfectly Simple protein snack bar. You can also get a $1.00 off coupon for a limited time!